Our Fall sweater Nice and Knit-along officially begins this Saturday! 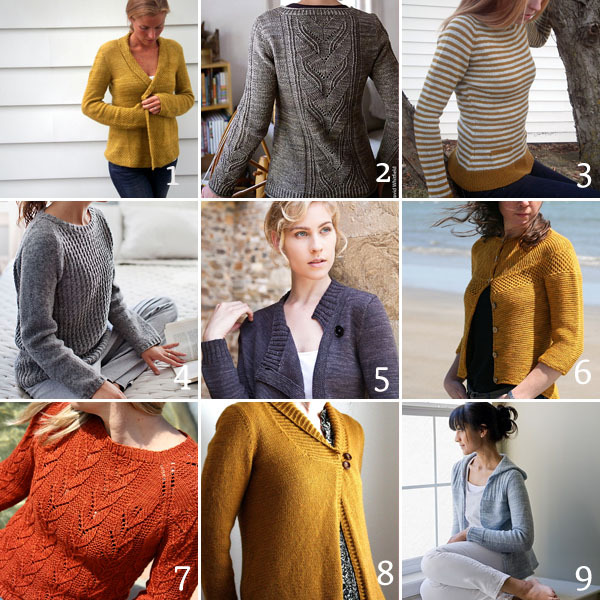 Every time I decide on a sweater to knit - I find another one I love! Here are some of my current favorites! There is still plenty of time to find your pattern, buy your yarn and cast on! I really like #8. Nice sweaters! I vote for # 3 for you! !